Last updated at 3.15pm with post by PD leader. A top police official who quit under a cloud of domestic violence allegations yesterday has been defended by the Home Affairs Ministry as a "hard-working officer who worked long hours". In a statement, the ministry said the allegations against Mr Tonna had been withdrawn. Assistant police commissioner Mario Tonna resigned from the corps yesterday, following reports in In-Nazzjon that his partner had filed a police report against him alleging that he headbutted her during an argument and had been violent to her in the past. In its report, the newspaper also alleged that Mr Tonna, who was in charge of coordinating the country's traffic police and the corps' garage and mechanical transport section, had a serious drinking problem. The Home Affairs Ministry has nevertheless backed the former police officer, saying "all accusations by the third party have been withdrawn" and that he had never been reported for working or driving under the influence of alcohol. "In the past, when there were rumours that subject might have drinking problems, he had admitted of being under medication," the ministry said, saying he had been a "hard-working officer who worked his way up through the ranks and worked long hours for the benefit of the police corps and the public". Mr Tonna, who in 2011 was found guilty in court of harassing his superior and subsequently banned from seeking further promotion, was neverthless promoted to superintendent in 2015 and then again to assistant commissioner last June. In a statement, the Nationalist Party condemned the ministry remarks, saying they justified domestic violence. 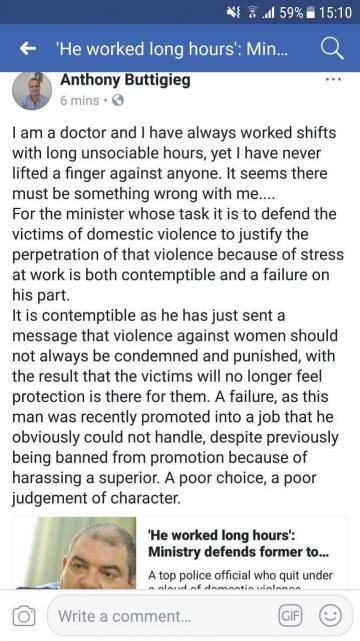 The comments on Home Affairs Michael Farrugia's behalf, the PN said, were an insult and very damaging to all victims of domestic violence. That a police officer committed domestic violence was already unacceptable, the party said. 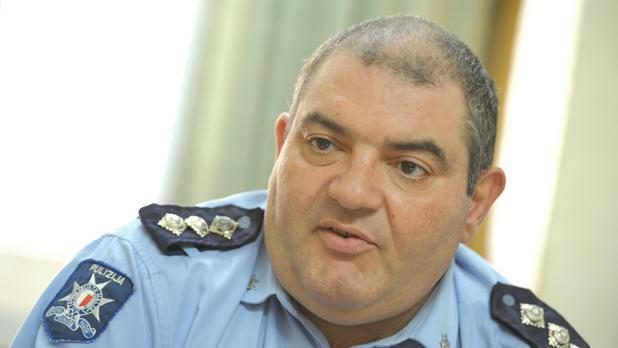 But it was more grievous that the minister responsible for the police force, Dr Farrugia, tried to cover up and defend the officer because he worked long hours. The PN accused him of undermining efforts to overcome domestic violence, saying that rather than taking steps to dismiss the officer, his government had given Mr Tonna two promotions and was now trying to excuse him.